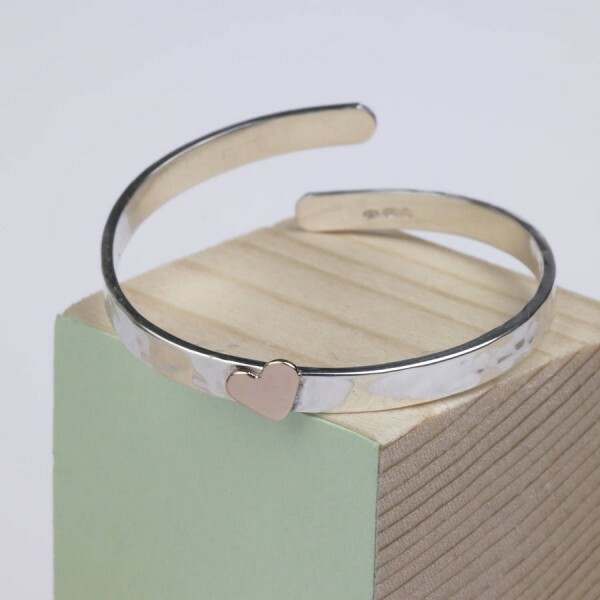 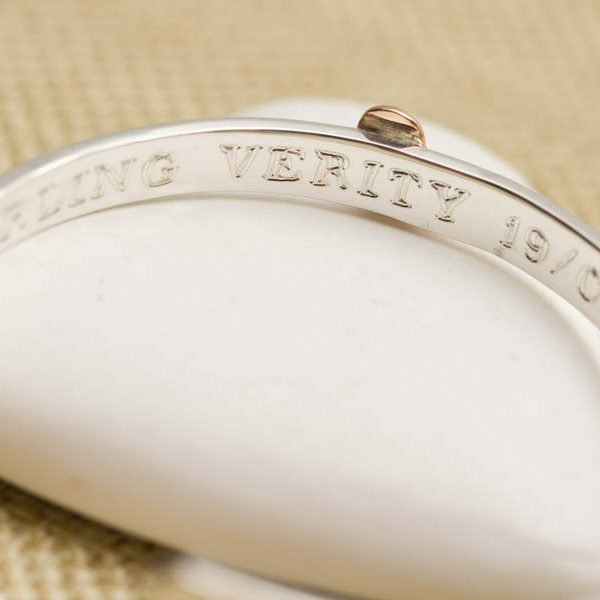 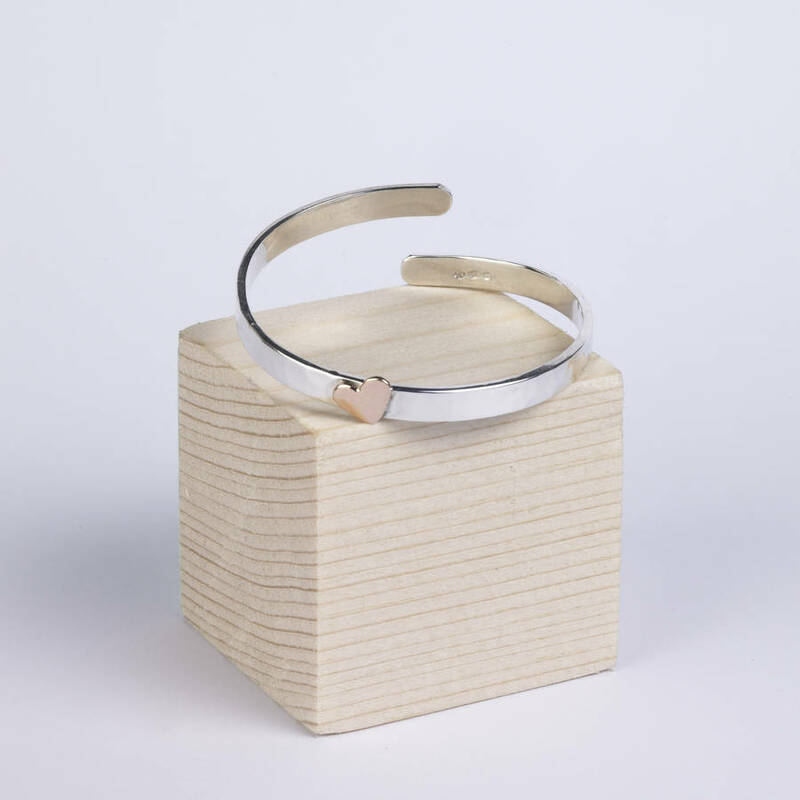 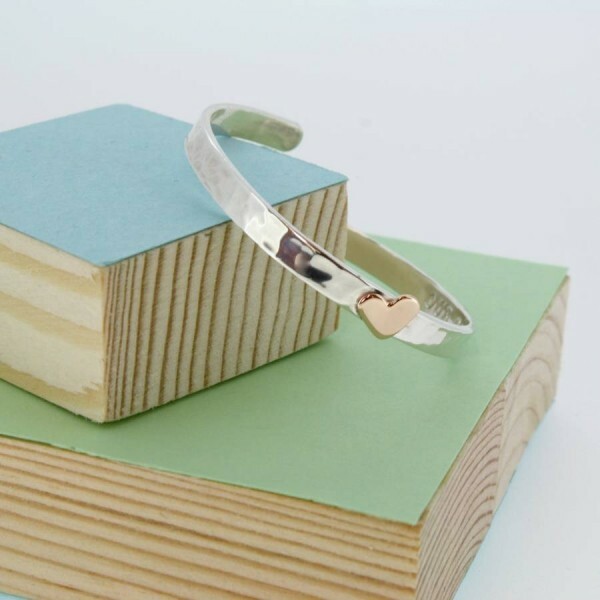 Gorgeous little Christening baby bangle is made from sterling silver with a gold or copper heart. 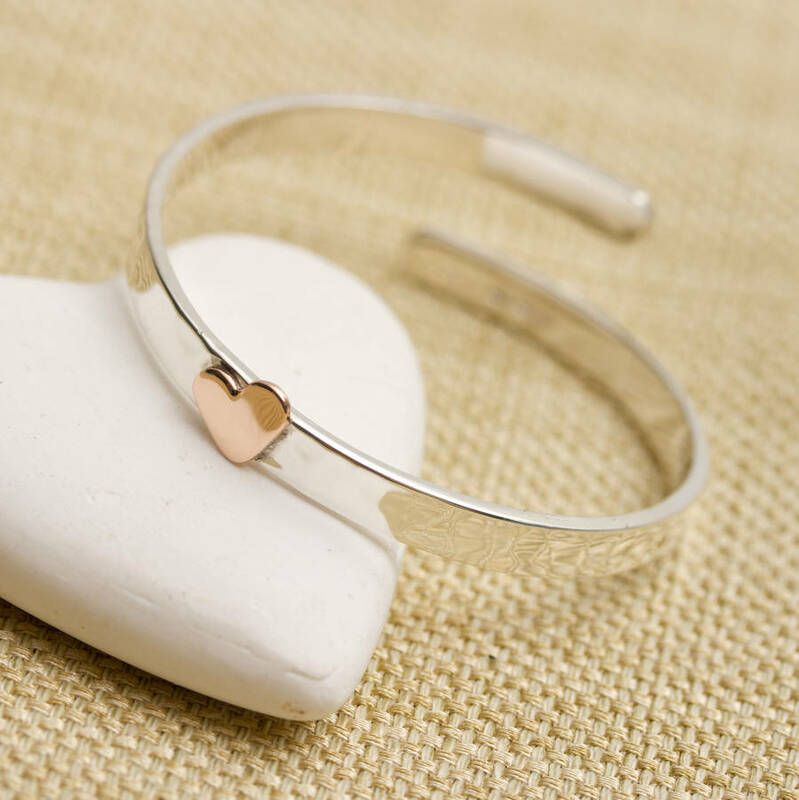 This bangle is the perfect gift for a beautiful baby girl. 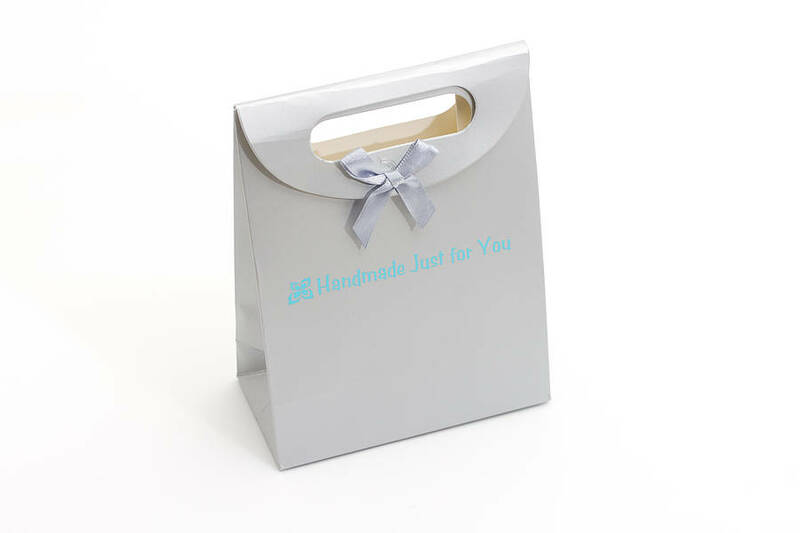 It is suitable for a baby from birth. As the child grows, the bangle will grow with her and can be worn for several years. 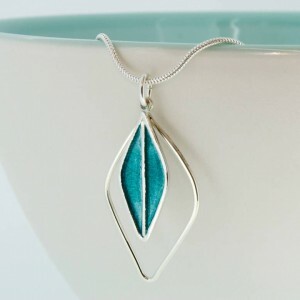 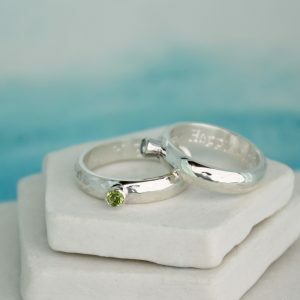 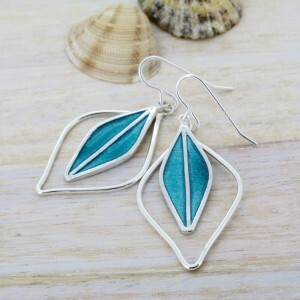 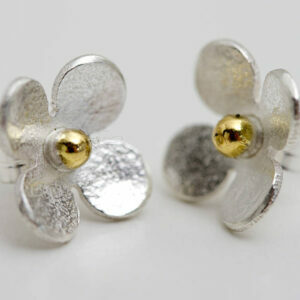 Made from sterling silver in my Cornish studio. 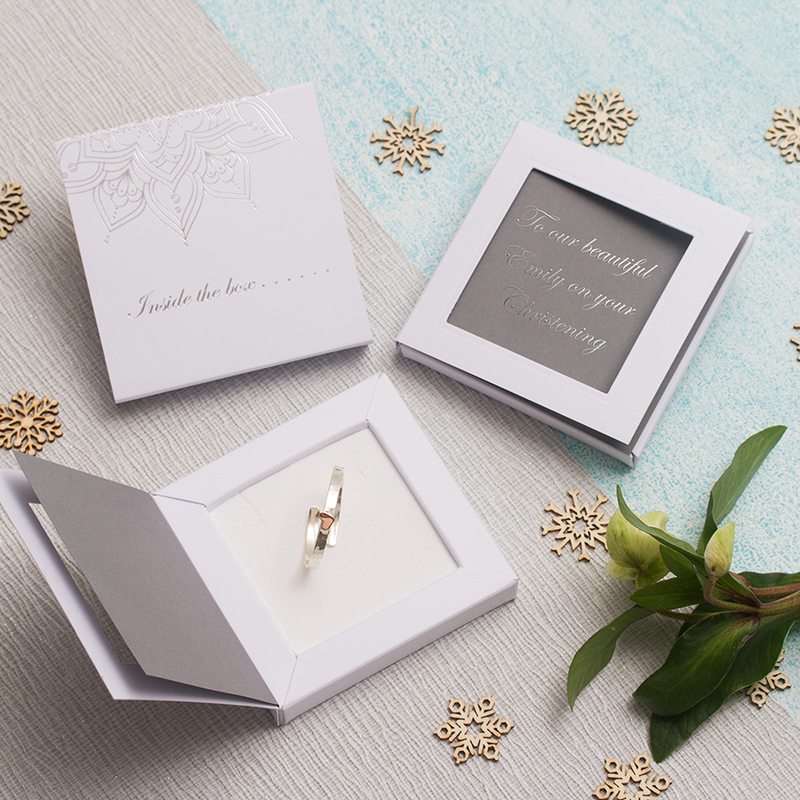 Presented in a lovely printed box. 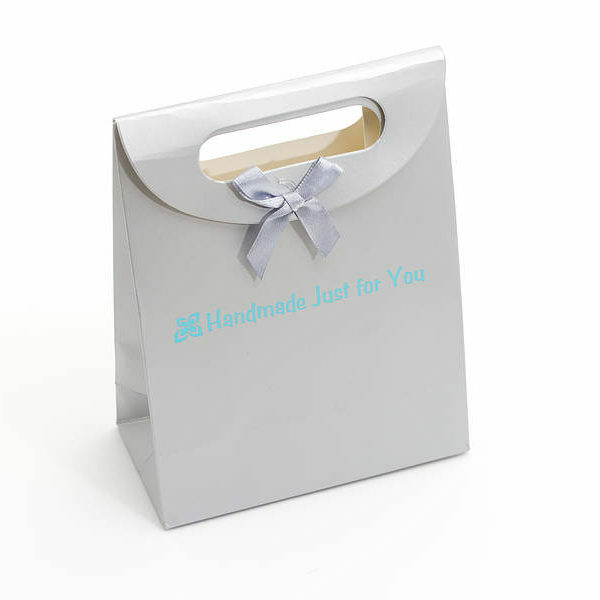 You can also add my special gift wrapping with the message “handmade just for you”. 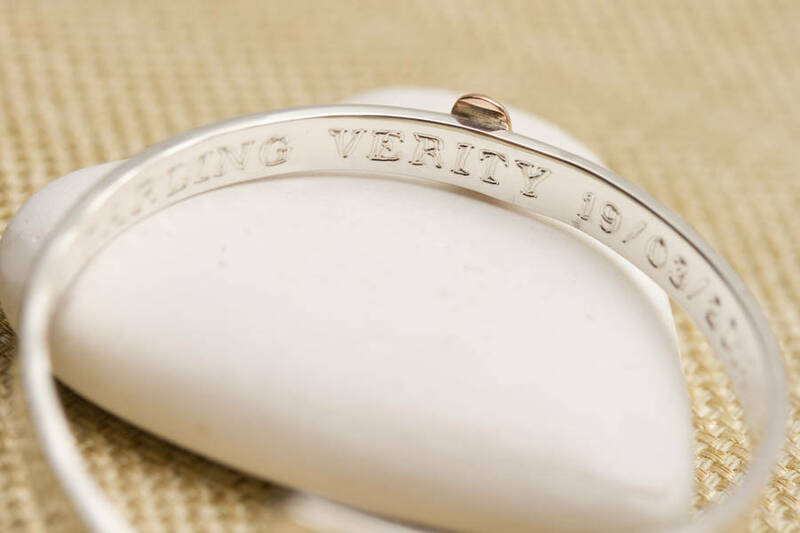 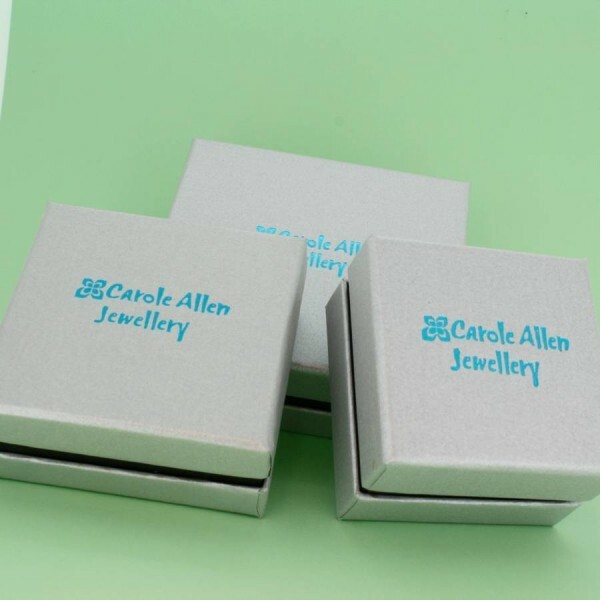 The bangle can be personalised on the back with your message of up to 25 characters (including spaces). It is available with either a copper or rose gold heart. Copper and rose gold look virtually the same but the copper will darken with time and the gold will retain it’s brightness. You can choose to have a personalised greetings box which you can personalise with your own message printed in luxury silver foil.